a market meltdown that nobody had foreseen? have an enormous impact; and . . .
after the event, we invent an explanation that shows the “Black Swan” wasn’t really random, was predictable (“if only we had looked at X, Y and/or Z”) — or that it was actually inevitable. Being mentally wired as explanation-seeking creatures, having concocted our reassuring and rational story (which is usually more wishful thinking than fact), we humans retire to our comfortable cocoon where those devastating “statistically improbable” “long-tail” events are once-in-a-lifetime occurrences. They’re not, says Taleb. Worse, he says, they’re becoming more frequent. that a market implosion that would affect all of their positions simultaneously was a 10-sigma event; one that might happen once in the life of the universe. Well . . . duh . . . “Dey wuz wrong.” LTCM didn’t even make it to its tenth birthday before it collapsed. And then there’s . . . the Crash of ’87, the rise of OPEC, the Asian currency crisis of 1997, the Russian meltdown of 1998 (which killed Long-Term Capital Management) . . . two “Black Swans” in a row!! . 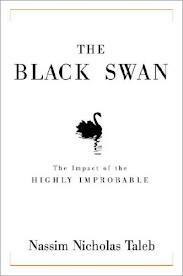 . . statistically impossible, 9/11, the incredible rise from a garage to dominance of Google, the NASDAQ implosion of 2000 . . . and that’s merely a few of the “Black Swans” that have happened over the last 30-odd years. Not exactly “once-in-a-lifetime” occurrences. Those investors who’ve lost billions, if not trillions of dollars in those and similar “Black Swans” usually put it down to “bad luck.” And if they’re not scared away from the markets altogether, go back to doing whatever they were doing before. Certainly, luck can play an important part in our lives. For example, a few weeks before the Crash of ’87—another Black Swan—an obscure Wall Street investment analyst named Elaine Garzarelli predicted that a crash was imminent. After the crash she became an instant celebrity, and has been living off her “guru” status ever since. However, an examination of her subsequent track record suggests that her success is due more to luck than prescience. (For more on this, see “The Seven Deadly Investment Sins,” which is Chapter 2 of Winning Investment Habits. You can download it at www.inversebooks.com). The kind of luck most investors experience is, however, usually bad luck. Paradoxically, one of the worst things that can happen to a novice investor is be lucky, and make money on his or her first investment. Convinced they know what they’re doing, they go on to “repeat” their success—and lose their shirts. An examination of “good luck” usually shows that it’s really the result of being in the right place at the right time, knowing what to look for, and being prepared to act instantly. 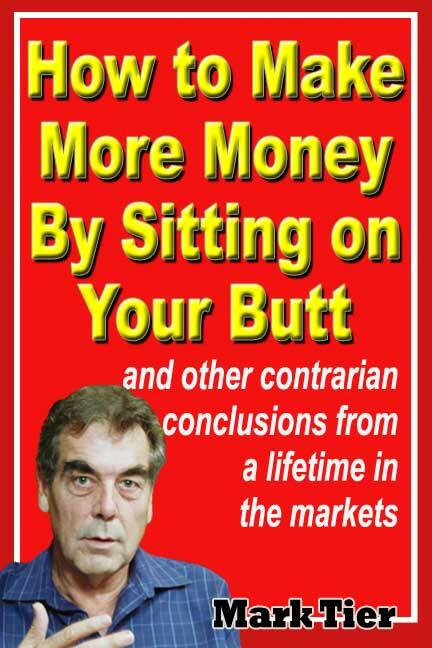 One example of this mental preparation: George Soros was not the only currency trader to profit from the collapse of the pound sterling in 1992—an event which was neither unpredictable nor unpredicted. He was, however, the only one who went home with $2 billion dollars in profits. Picking the right person(s) will not be an easy task. It’s not hard, of course, to find smart people, among them individuals who have impressive investment records. But there is far more to successful long-term investing than brains and performance that has recently been good. Over time, markets will do extraordinary, even bizarre, things. A single, big mistake could wipe out a long string of successes. We therefore need someone genetically programmed to recognize and avoid serious risks,including those never before encountered. Certain perils that lurk in investment strategies cannot be spotted by use of the models commonly employed today by financial institutions. These two paragraphs read (and note Buffett’semphasis) as if they were quoted from Taleb’s book The Black Swan. Of course, they weren’t. Taleb’s book came afterBuffett’s letter. And in any case, Buffett (like Soros) was avoiding “Black Swans” long before Taleb came up with his investment approach (based on profiting from “Black Swans”). That’s the important question. What’s going to happen to your investment portfolio when the next Black Swan hits. Are you going to lick your wounds (assuming they’re not fatal), put it down to “bad luck” (sorry, it’s bad planning). Or will you observe the next Black Swan as something that’s happening to other people, notyou? which—in my opinion—is the better book. It’s also more focused on the investment world. Or you’ll find a more “how-to” approach in The Winning Investment Habits of Warren Buffett & George Soros. And re-organize your investment approach to eliminate (or, at least, minimize) the likely effect of the next Black Swan on your wealth (and well-being). The problem with “Black Swans” is that they come out of the blue and take absolutely everyone by surprise. They’re only “predictable” with infallible “20/20 hindsight”—which will be a real source of comfort when you’ve gone from being a zillionaire on top of the world to scrounging for meals in the garbage cans in the alley-ways back of those five-star restaurants where you used to be a regular and honored customer.